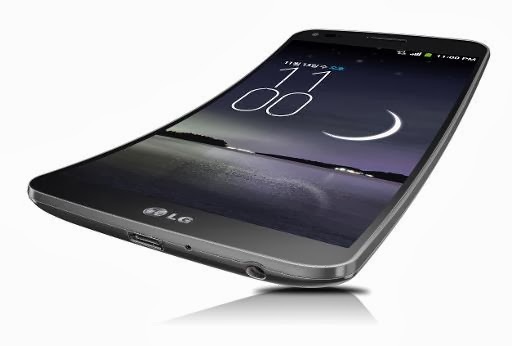 After a series of leaks, LG has announced official details of its curved-screen smartphone, the G Flex. The phone, which uses flexible OLED screen technology to allow for a dramatic curve on the horizontal axis, is between 7.9 and 8.7mm thick at various points, weighs 177g, and has a 6-inch 720p display. Inside there's a 2.26GHz quad-core Snapdragon 800 processor, 2GB of RAM, a 13-megapixel camera, and a 3,500 mAh battery. 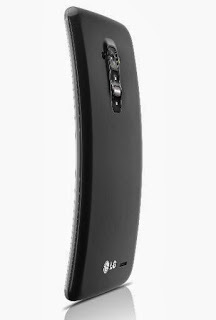 Although Samsung touted certain software features designed for its Galaxy Round smartphone, which has a display that curves on a different axis, LG hasn't done much to exploit the potential UI benefits of its own screen technology; instead, the company calls the G Flex the "world's first 'real' curved smartphone," claiming better ergonomics when making phone calls, a more immersive video experience, and a brighter and more precise display thanks to its "Real RGB" pixel configuration. The G Flex does include a "swing lock screen" feature, which moves the wallpaper in response to tilting motion and produces different unlocking effects when the user touches different areas of the screen. Another feature lets users pinch from the lock screen to open certain multimedia apps directly. Perhaps most unusually, LG says the G Flex uses "self-healing" technology that the Korean press release compares to Wolverine from X-Men: a special protective film on the back cover is designed to get rid of scratches on the phone within minutes. That's the kind of feature that'll be hard to judge without seeing the phone in person, but those outside South Korea will have a wait on their hands — although the G Flex is coming to all three major carriers in LG's home nation next month, the company only teases an expansion into additional countries at some point in the undefined future. Read now: LG slim down phones with world’s thinnest 1080p LCD - 2.2mm thick.